After the client completes our detailed questionnaires and our payment process, we develop a personal marketing document that relates your unique talents and qualifications to a targeted job or industry. Job specific keywords are added and fully described within the resume body and serve as a means of locating your resume within electronic databases known as Applicant Tracking Systems (ATS). We also fully research company web sites to ensure the content and tone of our cover letters are in sync with the employer's mission and services. All of the above, with special emphasis on developing a brand statement and executive profile, while documenting your achievements with Challenge-Context-Action-Result (CCAR) stories that attest to your skills in leading change and motivating people, producing enduring benefits, developing and managing business, and building effective coalitions. Prices start at $900 for the Executive Standard Package. Individual Executive Portfolio components such as Value Propositions, Point Papers, or a Photo Gallery may be purchased — for an additional fee — to strengthen your case. See details below and use our Contact Us Form. A full Catalog with all prices will be sent when we receive your form. Most prices run from $300-$399. Some prices run from as low as $200 for a High School Grad with limited experience to Federal Resumes and Executive Search Packages that could run from $500-$900 and take more time and effort to produce. See service descriptions below and use our Contact Us Form or Call Us at (805) 407-6500 for help and to receive a FREE quotation. At the end of every project, all clients will receive our FREE Job Search and Interview Preparation Bundle to guide you through many of your difficult career seeking tasks and moments. We assemble your resume and cover letter, along with a biography, case studies, photos, and samples of your best projects, into a striking binder that can be left with an employer to speak for you long after your interview has ended. This is a career strategy that helped this writer beat a highly-degreed colleague out of a bonus. Don't leave home with it! Required for corporate and non-profit business plans, contract bidding, proposals, grants, and company web sites. May cover the CEO only or management and staff. Additional time will be necessary according to complexity and number of resumes required. These replace SF-171 and OF-6. They are Resumix compliant, using keywords applicable to your target job series as well as describing your achievements using the CCAR formula. Due to their complexity, you will find they will run a bit higher than private sector resumes. Our CPRW is a former civil service manager and has written job-winning resumes for GS-5 through GS-15 levels. In addition to past government human resources and resume writing experience, our CPRW stays abreast of the latest federal application rules and techniques. Will you need KSA and ECQs? These are detailed, essay questions intended to show how you would respond or have responded to the challenges of the target position. Since resume space is limited by agency requirements, this is an opportunity to expound on specific problems and how you solved them. This should not be a clone of your resume but a complement and addendum to it. Since mid-2010, however, the federal government has been veering from this requirement, in an effort to hire qualified applicants quickly (in 1-3 months) where, previously, it could take up to 1 year). The qualification process begins with a resume that clearly demonstrates you are qualified for a particular job and/or series. The qualification process may also require your taking an on-line test, usually True/False or short answers. If you need help with any of this, let us know. A resume used primarily for the research, technical, and international fields. Longer length (more than 2 pages) is permitted. In the United States, we tend to use flamboyant language and marketing-influenced techniques to draw attention to your achievements. The CV for non-U.S. audience, however, will be quite traditional and less Hollywood. 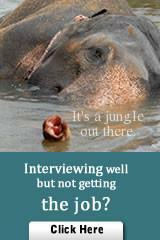 Save your time for fun stuff and let us be your Job Search Agent. We are experienced in searching for and posting resumes to major job boards. After your resume is posted, just wait for the leads and interview invitations to appear at your e-mail address. You will get instructions on how to manage your accounts as well as on how to follow up on the leads. Hire us for one month or longer. Our Certified Employment Interview Professional can help you gain interviewing skills as well as formulate answers to those tough questions. Available in 1/2 hour increments and tailored to specific industries. Best when paired with our Resume and Cover Letter services. ~ Whose resumes appear in 10 best-selling resume books. * Hard Copy Delivery is available, however, an extra charge and sales tax will apply. Hardly anybody needs a hard copy these days, because resumes can are usually e-mailed or faxed from your PC. Also, not all resume situations require interviews (e.g., promotions, training packages, personnel databases). Well, maybe you do not have a printer or your PC is down. * AND... Do not forget our FREE Job Search and Interview Preparation Bundle to guide you through many of your difficult career seeking tasks and moments. * Deadlines — Most electronic (e-mailed) resumes will be completed and delivered by e-mail within 7-10 working days, with larger and more complex projects such as federal resumes and technical and executive packages taking a longer. Since the process includes you—the client—completing detailed forms, your own turn-around-time will extend the due dates. Our research and creative processes do take extra time, so please allow us whatever time it takes to serve you well. Anything missing? Please contact us by e-mail or telephone to discuss your needs. Your outstanding resume landed interviews with several employers, your interviews went well, but you never received an offer. 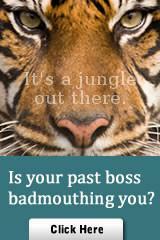 Could it be your old boss or a professional reference are mucking up your future? Allison and Taylor will quickly and discreetly handle the inquiries, finding out what they are saying about you that would dissuade employers from selecting you. Could it be your old landlord, bad credit, unpaid traffic citations — or worse? Let Allison and Taylor perform a pre-employment Background Check or a Professional Reference Check to identify nearly 20 areas that may need your urgent attention. In addition to comprehensive investigation and reporting, Allison and Taylor provides Cease and Desist Orders and expert advice on how to clear your reputation and keep it clean forever. ~ Speeches, letters, and more. ~ Insurance affidavits, medical statements (State of California only). Please contact me through our Contacts page to be referred to a Medical Reports Specialist, who is also a practising psychologist with special training in pain management and alternative therapies. We refuse to work with anyone who intends to defraud an individual, enterprise, or government. As the gift that keeps on giving, a Wordbusters or Best Choice Resume will more than pay for itself when your favorite job seeker lands that five- or six-figure job. Just send us your job seeker name, along with the type of service and payment for the service, and we will send you a beautiful voucher for presentation for birthday, holidays, or whenever. Employers: These also are ideal corporate gifts for situations and events such as: Lay-offs, retirements, promotions, relocations, or raffles. For your shopping convenience we can accept any major credit card through PayPal. Just contact us to finalize your selections and we will send you an invoice. Never used PayPal? Click on the image at right to find out.